The fetus comes out easily; they put it in the bucket and shove it near me. It is fully intact, curled on its left side, fists closed, knees bent up. He sleeps just like you, I think. Then, a second thought, an act of distancing: He looks more like an alien than a person. I have, by this point, seen lots of women and lots of fetuses, and the sight of the second doesn’t change my feelings about the first. The mourning for what could have been is countered by an appreciation for what is — a woman’s life, allowed to proceed as she wants it to. 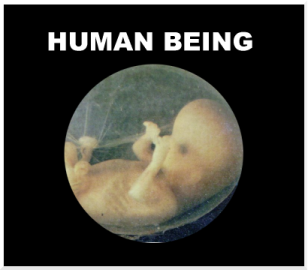 Yeah, it's just human life. A woman's aspirations is what's really important.